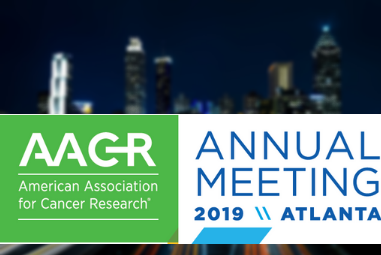 The American Association for Cancer Research (AACR) held its annual meeting March 29-April 3, 2019, in Atlanta, Georgia. The meeting, the largest cancer research conference in the world, brought together approximately 21,000 attendees from a diverse cross section of the cancer research community, with researchers and clinicians spanning academia, government, the pharmaceutical and biotechnology industries, as well as patient advocates, funding groups, and publishers of scientific journals. Participants shared research developments, networked, and learned about the latest tools available to facilitate research. Over 450 exhibitors participated; suppliers of instruments and assays included not only the largest companies in the life science space, but also up-and-coming innovators just entering the market. A major theme of the meeting was “individualized patient care,” and this was evident in many of the research presentation sessions, as well as the technologies featured by exhibitors. Precision oncology has become preeminent in cancer research, as cancer genomics, transcriptomics, and now epigenomics yield insights into the mechanisms of cancer progression, reveal potentially actionable targets, and shed light on treatment resistance. Precision oncology permeated an array of presentation topics, ranging from biomarkers for early detection of cancer to tools for genomic analysis, and even social issues such as achieving equitable patient care through precision and convergent cancer science. In the exhibition hall, exciting precision instruments were displayed. Vendors showed their latest developments for both research use and clinical precision oncology, as well as existing instruments and technologies which have been newly modified and optimized for cancer research. Many of the technologies displayed are examined in-depth in SDi’s flagship Global Assessment Report, released in February, and which provides analysis of market size, growth and vendor share. Members of the SDi team were able to meet and chat with instrument suppliers to learn about how their products are furthering cancer research. One research model that caught our eye for the innovations and diversity of products being developed was single-cell analysis. Single-cell analysis capabilities have greatly expanded the ability of researchers to investigate the heterogeneous changes which occur within tumors and metastatic lesions. Many exhibitors showcased innovative instruments and assays which took different approaches to single-cell analysis, such as open chromatin interrogation (SureCell ATAC-Seq Library Prep Kit by Bio-Rad), identification of single-cell polyfunctional strength for immune cell functionality (IsoLight by Isoplexis), or even applying ICP-MS to single-cell metal analysis (NexION 2000 by PerkinElmer). While there is still much to uncover and understand before we can conquer cancer, the research and tools shared at AACR show that there is ample to be optimistic about.